In welcoming you to the ANC 2019 we are delighted to confirm plans are progressing extremely well and as promised Melbourne will come up trumps. Personal results are up to you! Every day will be filled with bridge, including events for those looking for a one or two day competition. Four new one session walk in congress events have been added on Wednesday 17 July and Friday 19 July. Deals for accommodation with the nominated hotels have been confirmed and all four have been very generous with the rates provided. Don't forget to quote Bridge, the ANC or the code mentioned. Each property is quite different. 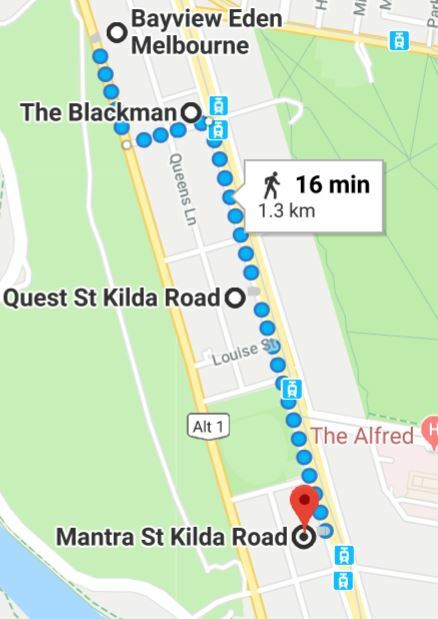 'The Bayview Eden' is the venue for the ANC, 'The Blackman' just around the corner is part of the Art Series Hotel Group (entrance on Arthur Street), 'The Quest' at 478 St Kilda Road is a brand new apartment hotel and 'The Mantra', also on St Kilda Road, is another fine establishment. Lastly, we are able to confirm a very special function at Government House as guests of the Governor of Victoria; the Honourable Linda Dessau AC. This function will take place on Thursday 18 July from 6 pm until 7.30 pm following the final of the ANC Teams. It will be 'showcasing' our game with the assistance of two of our best personalities - Michael Courtney and Bill Jacobs. As invitations will be sent from Government House, names of representative team players are required promptly - early entry for all events will assist greatly. The ANC will be held in the Grand Ballroom, 1st Floor, Bayview Eden, 6 Queens Road Melbourne. 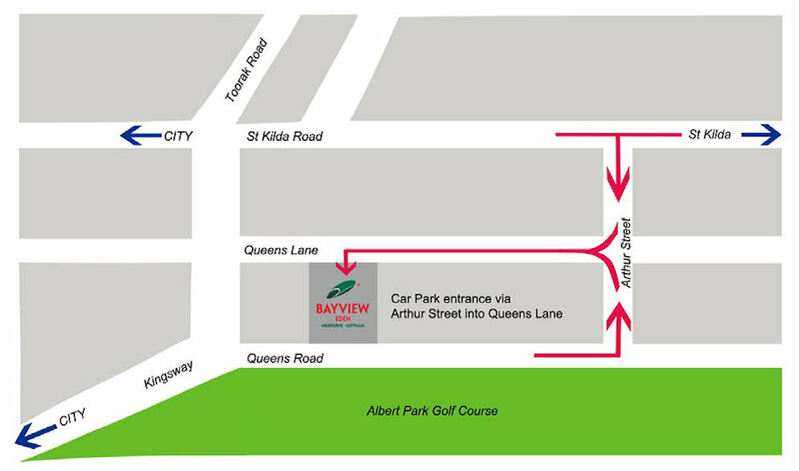 Situated on Queens Road, overlooking Albert Park Lake and the golf course, the Bayview Eden is located in the heart of the St Kilda Road business district, only minutes from Melbourne's CBD and entertainment areas. Car parking is in the basement of the building and is charged at $12.00 per car per day. The car park is located directly behind the hotel and can be accessed via Queens Lane. Car parking is subject to availability. The Bayview Eden is located less than a 3 minute walk to tram stop number 22, located on St Kilda Road which runs directly to and from the city. Tram numbers 3, 5, 6, 16, 64, 67 and 72 will take you to and from Flinders Street Station. At Flinders Street, you can connect with further trams and trains. For more information, please visit www.metlinkmelbourne.com.au. Deals for accommodation with the nominated hotels have been confirmed and all four have been very generous with the rates provided. Don’t forget to quote Bridge, the ANC or the code mentioned. The Bayview Eden is the venue for the ANC. The hotel offers a variety of accommodations. It is a 4 star hotel with pool, parking and restaurant facilities. In Friday 12 July 2019. Out Friday 26 July 2019. Superior King or Twin Room $159.00 per room per night - room rate only inclusive of Wi-Fi. Guests are asked to contact the hotel directly and mention they are playing in the ANC to access these negotiated rates. The Blackman (entrance on Arthur Street) is part of the boutique Art Series Hotel Group. It is a contemporary hotel with all rooms having kitchenette facilities. The Blackman has an excellent café. (Depot de Pain) and restaurant (Classico). It is within a block of the ANC venue. Please call the reservations team 24 hours a day via the phone number 03 9039 1444 (then press 1) and quoting the code ANC2019. This will give you access to the $150 rate in a Studio Suite Balcony and also $195 per night in a Deluxe Studio Suite Twin Balcony, these rooms have 2 Queen Beds. The rates will be available from the 10th of July through until the 28th of July. The Mantra is a 15 minute walk to the ANC venue. It offers apartment style accommodation and gymnasium facilities. Book online at Mantra St Kilda Road via promo code ANC. The discount will apply for any room type between 9th to 26th July 2019. PLEASE NOTE: All rooms are subject to availability at time of booking. Input Promo Code ANC (case sensitive) in the Promo Box – hit SEARCH again. You will now see the discount applied to the Mantra Daily rate. You will receive an email confirmation once all details have been processed. ANCPLAYER is the code for the Bridge Players accommodation rate at Quest St Kilda Road. Enter Promo/Corporate Code (ANCPLAYER) and click Apply discount. Choose from either Studio or 1 Bedroom to book negotiated rates. Then continue booking process as per normal and confirm.